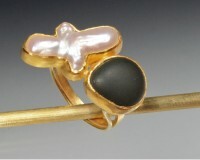 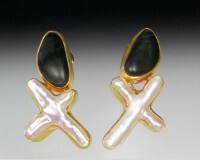 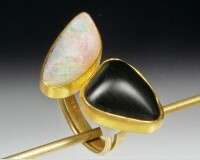 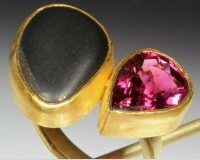 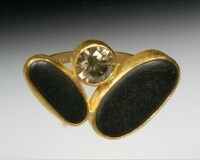 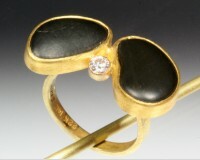 A cage of 14K gold loosely holds a perfect wave-polished granite. 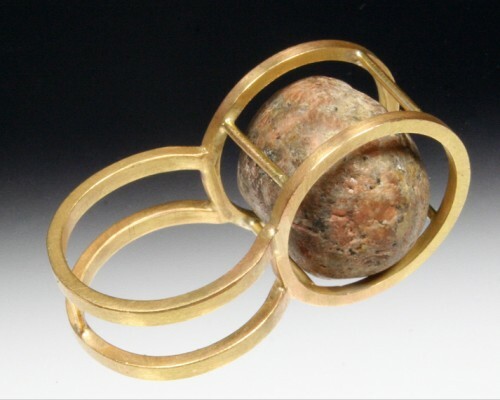 The stone is loose in the cage and makes a pleasing rattle. 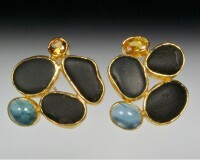 It can also be worn as a pendant by sliding a chain through the shank.